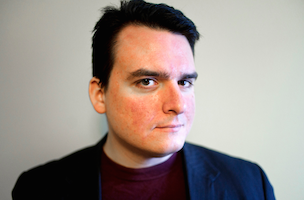 Dave Weigel is joining Bloomberg Media’s forthcoming Bloomberg Politics site. Weigel comes to Bloomberg from Slate, where he served as senior political reporter for the past four years. Weigel previously worked for The Washington Post. “Driven by his own curiosity, he [Weigel] eschews the pack to write and report some of the smartest pieces about how real people perceive their politicians,” wrote Bloomberg’s recently-promoted Josh Tyrangiel, in a memo obtained by The Huffington Post. Bloomberg Politics is expected to launch October 6.